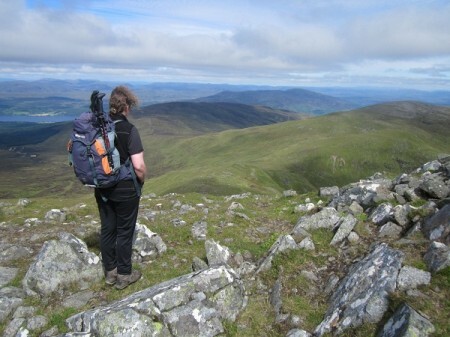 To wander the hills for 12 hours on a fine day is a great experience …but a tiring one! I’m sat at my computer this morning feeling rather tired with aching muscles and I’m no doubt still a little dehydrated. The walk we did yesterday has certainly taken its toll but I wouldn’t have missed it for anything. Indeed, after what has been a busy and at times, stressful couple of weeks, having a long day wandering in the Scottish hills was just what was needed. Where did we wander? 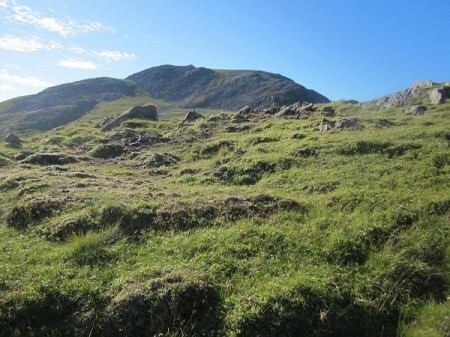 Well, it was around a group of high grass and boulder covered hills that lie to the north of Glen Lyon. 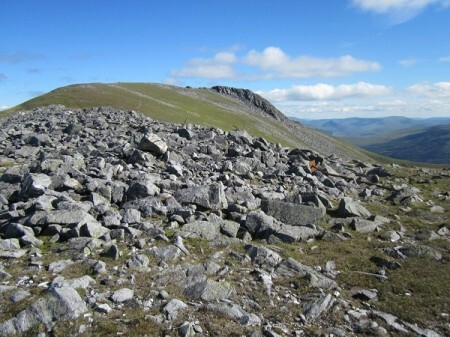 Although there are numerous fairly undistinguished tops in this area, the principal ones (all classified as Munros) are, Carn Gorm, Meall Garbh, Carn Mairg and Meall nan Aighean. They are all a little over or under 1000m and are connected by broad ridges but to walk them all in one go makes for quite a long day. 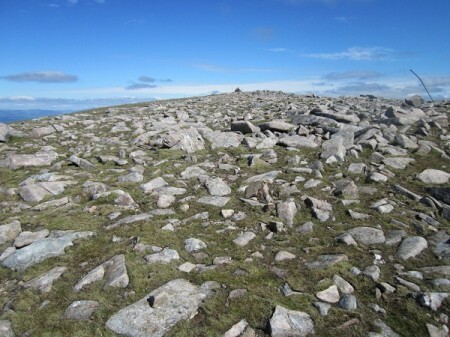 About 5 or 6 years ago I did this same walk with a couple of friends, Irene and Steve, from the Air na Creagan Mountaineering Club. On that occasion despite it being I think, July, it was a pretty foul day and more akin to a day in November! We saw little for most of the day, the cloud sticking to all of the higher tops and it was cold and damp. We had few views and it was a day to keep moving and at a bit of a route march pace, we finished the circuit in, if I remember rightly, something a little under nine hours. This said however, we did see enough for me to realise that this would make a fine walk on a good summer’s day with time enough to wander and look and enjoy these high and wild hills. So then, that is exactly what Nita and I did yesterday. The forecast for the day was almost perfect; clearing skies, lots of sunshine, a light but cooling breeze (to keep the midges at bay) and wonderfully clear air. I won’t bore you with all the details, hopefully the photos will show what a beautiful day it was and give you an idea of the nature of this high and wild hill country. As you can see, on a fine day it really is a place to take your time …there really is no point in rushing. 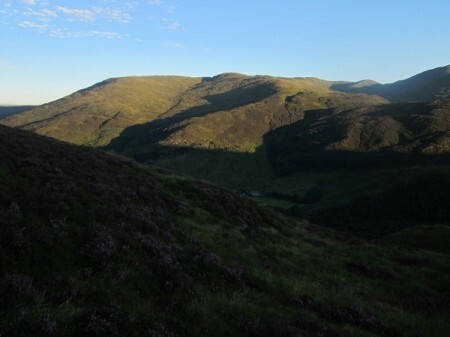 We reached the summit of Meall nan Aighean – the last of the 4 hills, at around quarter to seven in the evening and sat for a short time taking in the evening light and colours. We got back down to the road a little after nine o’clock as the light was fading and the air cooling. We were shattered and still had the drive back to Ayrshire ahead of us …but it had been a wonderful day…..arriving back in Irvine at 00.30 …it had been a long one too!